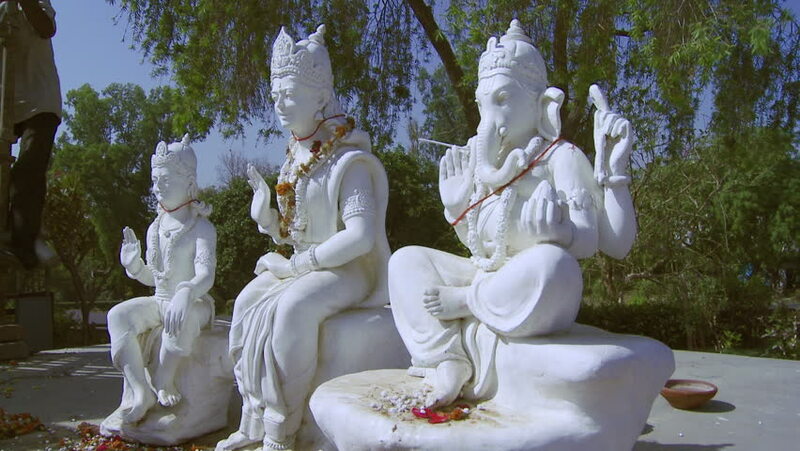 Delhi, India - CIRCA 2013 - View of 3 statues in India as the wind blows the trees. hd00:08LODEVE, FRANCE - CIRCA JULY 2015 War monument. This memorial commemorates the inhabitants of Lodeve who died in the First and Second World War. hd00:11STIRNIAI, LITHUANIA - JUNE 23, 2018: Priest with garland meat people guests of Midsummer holiday day. People go through arch. Traditional pagan festival. Handheld shot. 4k00:12replica statue of David by Michelangelo in the Europa Park, Madrid, Spain.